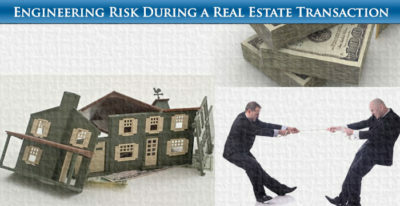 Information for Homeowners and Buyers on Home Foundation Issues. See Additional Client Information Papers in our Reference Desk for information on Home Foundation Repair. 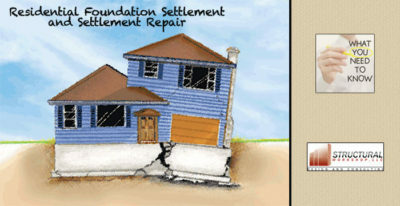 Information on our Home Foundation Repair services. 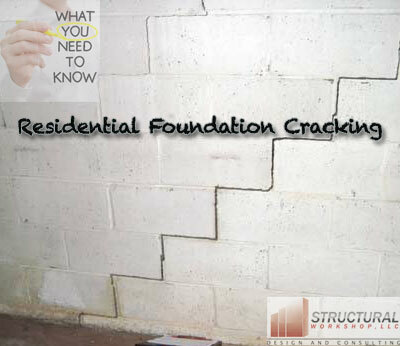 Cracks in the foundation wall of a residence are a very common occurrence. Typically, home inspectors (and realtors who have been present at many home inspections) live by the adage, and advise their clients, “Horizontal Crack Bad, Vertical Crack OK”. While there is some truth in that, it is not a hard and fast rule. There are horizontal cracks that may be “OK” and there are vertical cracks that may not be “OK”. A thorough understanding of structural mechanics and properties of construction materials is required to interpret the relative risk of any type or direction crack and advise the client on the methods and costs to repair it, the benefits of repairing it, and the risks of not repairing it. Whether the client owns and is staying in the house, owns and is selling the house, or is considering buying the house, these four items are essential to allow a client to make an informed decision in their best interest. Most residential foundation walls are constructed with concrete masonry block. Some are constructed with poured concrete. Both of these materials share properties of being a very strong material in compression and a very weak material in tension. A material is said to be in compression when it is being pushed together (Imagine a candle on a table, which you are pushing down on the top of with your palm) and in tension when it is being pulled apart (Imagine a string you are pulling in different directions with each hand). For design purposes, both concrete and masonry block are considered to have no strength in tension. Steel reinforcing bars (rebar) are added to concrete and sometimes to the insides of masonry block walls to resist tension. The steel and concrete work together to resist tension and compression stresses. When a wall fails by cracking open, this is due to tension. When a wall fails by crushing, this is due to compression. You have probably seen masonry blocks and realize that they are hollow inside. When a block wall is reinforced, steel bars are placed in the inside and the entire cell (opening) is filled with grout or concrete, making that cell solid. Sometimes, the entire wall is filled with grout or concrete, with reinforcing bars in some of the cells. It is a very common misconception that the weight of the house on the wall is what causes failures and problems in walls. The weight of the house on the wall rarely causes problems and sometimes can actually be beneficial by counteracting more dangerous tension stresses. The weight of a house on a wall creates compression in the wall. Concrete and masonry are very strong in compression and provided the wall is in pure compression and the secondary effects of buckling are not an issue, a concrete or masonry foundation wall could easily hold several stories of a house. Basement walls have soil behind them. This soil exerts a horizontal pressure on the wall. When the soil is saturated or when there is water behind the wall, this pressure is greatly increased. To visualize what soil and water do to a wall, take your hand and press on a wall. This is similar to what soil and water behind a wall exert on that wall. Now take a pad with a cardboard backing and hold it vertical. Push on the center of it until it arches. This is what the soil and water are trying to do to the wall. It is the job of the wall to resist this. Notice how the side you are pushing is being pushed together vertically (This is in compression) and the other side is being pulled apart vertically (This is in tension). The outside face of a wall (where the soil is) is generally in compression, and the interior face is generally in tension. The weight of the house above generally puts a uniform compression through the entire wall. This actually counteracts the tension from the soil and is beneficial provided the wall is not out of plane, and secondary effects beyond this paper are not occurring. Below the wall is a concrete footing that rests on the soil. The weight of the house and the wall are transferred through this footing to the soil below. Pressure is defined as a force divided by an area. A footing is generally wider than the wall above and the footing serves to increase the area of the applied load, thus reducing the pressure on the soil. Soil is considered a material, just like steel, concrete, wood, etc. There is an entire branch of engineering and science dedicated to the study and properties of soil. Soil can fail and move just like a beam in your house. In basement walls, failures of the soil below the footing typically cause wall settlement, which is covered in another information paper. Basement walls are typically waterproofed on their exterior when they are built. “Waterproof” is a misleading term in general, as it is very difficult to completely prevent water from going where it wants to go. An adage claims that the only difference between a well and a basement is that a well is round and a basement is square. Typically the exterior of a wall is covered with a skim coat of cement and a tar like material. Theoretically, if the exterior waterproofing stops water from infiltrating the wall, the water will build up behind the wall and increase the pressure behind it. For this reason, drainage is installed behind the wall. Ideally, stone should be installed behind the wall and the soil put back after construction, commonly called “backfill” should be granular, well draining soil. This allows water that gathers behind the wall to be pulled by gravity down to the bottom of the wall where it is collected by perforated pipes and drained away from the wall. When the drainage system fails or clogs, water will build up behind the wall and increase the pressure behind the wall. If the wall is waterproofed well, this water will have nowhere to go. If the water finds its way through the wall, it is both good and bad. Exterior retaining walls are built with “weep-holes” which allow water to run from behind the wall through the wall, thus relieving the water pressure. Water infiltrating a wall is essentially the development of an artificial, unplanned weep hole system. This serves to relieve some of the pressure behind the wall but also gives you a wet basement. 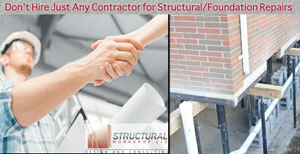 Beware of waterproofing contractors and systems which seal the inside of a basement. While these systems may achieve your goals of keeping water out of your basement, they can create much larger problems. Sealing the inside of a wall means that water will not only remain behind the wall and exert excessive pressure but will also have nowhere to go once it enters the wall. This will cause further degradation of the wall. If the conditions allow this water to freeze, it will expand and cause cracks. These cracks will be filled with water and the next time it freezes, they will open up even more. Repeated freeze-thaw cycles can destroy a wall. When assessing a wet basement, the entire picture needs to be evaluated. It is another common misconception that groundwater is always responsible for wet basements. This is not the case. When it is, there is rarely a solution for groundwater that is cost effective for a residence. Mother Nature is a tough foe. When groundwater is the source, it must be accepted that it will be there and a drainage system to adequately keep it away from the wall is the best approach. Much more common sources of water behind walls and in basements are much simpler and inexpensive to fix. We have seen homeowners who have spent large sums of money on waterproofing their basement, only to find that a ten dollar trip to the hardware store would solve their problems. The grading against a foundation is a very common source of water behind it. The soil against a house should slope away from the house. In general, the lot should be graded to encourage water to flow away from the house and the soil against the house should be built up a few inches. If water runs toward the house, it will stop and pool at the wall, and have nowhere to go but down into the soil behind the wall, where it will increase the pressure on the wall and try its best to find a way into your basement. Other common and usually simple to fix issues include clogged or broken drain pipes, malfunctioning sump pumps, broken sprinkler pipes, and gutters draining near the house. A repair plan for a basement wall must fix any damage to the wall and also address the cause of the problem. Remember the analogy of the pad we tried. These are the forces on your wall. The shape of the pad is a “C”. A pad is very flexible and this shape is greatly exaggerated in our experiment. A foundation wall is much more brittle and would crumble if it ever moved or bulged that much. This bulge evident in the pad is a common thing to see. Sometimes, if the top of the wall is not anchored properly, the wall will also tilt inward. Remember what was discussed about tension. The inside of the wall(what is bulging in) is in tension. Tension tends to pull apart. Masonry block walls are constructed with stacked blocks and mortar in-between them. The mortar joint is typically the weakest part of the wall in tension. Put it all together and you get a horizontal crack along the mortar joint at the peak of the bulge. In general vertical cracks are caused by differential movement or local load variations. A weak spot in the soil under the wall may cause a portion of the wall to settle more than the rest of the wall. An area of the wall with a heavier load on it may also cause a portion of the wall to settle more than the rest. When this happens a vertical crack typically develops, starting at the bottom of the wall. Sometimes an excessive load from above will cause a local failure of the wall at the top. This local failure can propagate into a vertical crack. If the conditions that caused a vertical crack are addressed to prevent future failure, the crack should still be sealed or patched with one of several methods to prevent water infiltration and additional damage to the wall. If excessive differential soil settlement is expected to continue, the foundation loads must be carried to better soil or the soil must be stabilized. It is very common to see “step-cracking” in masonry block walls. This is when a crack follows the mortar joint but zig-zags through horizontal and vertical joints. These cracks can be caused by almost anything. They propagate in a step pattern due to the mortar joints being the weakest part of the wall. Tracking down what initiated the crack is very important in this case. The crack could have started as the result of a horizontal bulge but took a turn up when it hit a relatively strong portion of mortar. It could have started as a vertical crack from settlement or from an overload at the top of the wall and taken a turn left or right. Sometimes these cracks will be accompanied by blocks or sections of blocks popping inward towards the basement. Thermal and shrinkage cracking are more common in poured concrete walls. Concrete materials shrink as water evaporates when they cure. They also expand and contract with temperature changes. These conditions create a variety of internal stresses within the wall. Some of these stresses are tensile stresses which want to pull open the material. Shrinkage cracking can be minimized or eliminated with proper reinforcing and curing. Thermal cracking also can be eliminated with proper reinforcing. Thermal and shrinkage cracking are a fairly common occurrence and by itself not necessarily a structural hazard. These cracks can become dangerous when they open up too much or allow water infiltration, which can further degrade the wall. Freeze-Thaw damage comes in two forms. The first is material damage to a sound piece of concrete. This is normally handled by including an admixture (additive) to concrete that will be exposed to freeze-thaw cycles. The second form has been discussed above and occurs when water infiltrates a wall and expands as it freezes, forcing cracks open. Heaving occurs when a footing is not deep enough. Local building codes prescribe the minimum depth at which a footing must be. This is done to keep the footing below soil that freezes. Wet soil will expand as it freezes. If a footing is resting or within this expanding soil, the footing will be moved by it. Heaving typically lifts a footing and whatever is above it up. In a heaving situation, the first step is to use one of several methods to essentially insulate the soil and prevent it from freezing. If this is not possible, the next solution would be to reconstruct the footing at proper depth. Improper Backfill can cause significant problems. Backfill is the soil behind the wall. Sometimes, the soil that was excavated is put back. Other times, proper soil is brought in to be used as backfill. Soil is a very complex material. The two properties that are most important for backfill are the horizontal pressure the soil exerts and its drainage characteristics. Soil used as backfill should have properties that minimize the horizontal forces it exerts on the wall. It also should be granular soil that drains well to prevent it from becoming saturated (thus adding additional pressure) or swelling (creating a condition similar to heaving). Clay-like soils should never be used a backfill. CIP9-Misc. 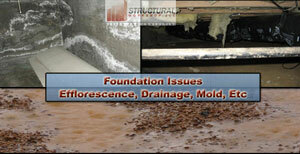 Foundation Issues-Efflorescence, Drainage, Mold, Etc.